← Madeira: So Let Me Get Right to the Point . . .
WHO has not sat down on a rock at the end of the day, wiped the sweat and streaky suntan lotion from their brow with the back of a hand, and gazed out across a hazy ridge of noble mountains and whispered to no one in particular: “That truly was the most memorable of days”? Days like this don’t come around often. They cannot be planned. They just occur. Mine has just occurred and I wasn’t expecting it. To be quite candid, I’m not sure what I was expecting – disappointment; terror; an undignified retreat; a thin and barely discernible streak of blood down a 2,000ft crag where an unfortunate Englishman fell unnoticed to his death. All these things passed through my mind last night as I packed my rucksack. What I got was an incredible journey. So let me start at the beginning. That’s as good a place as any. 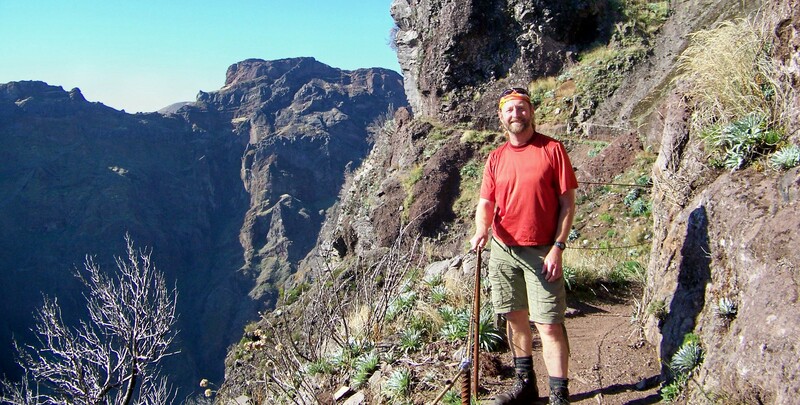 I’m standing at the starting point of Madeira’s most celebrated mountain walk – the high-level traverse of the unbelievably formidable ridge that links Pico do Arieiro (1,818m or 5,965ft), the island’s third-highest mountain, and Pico Ruivo (1,862m or 6,107ft), the highest. 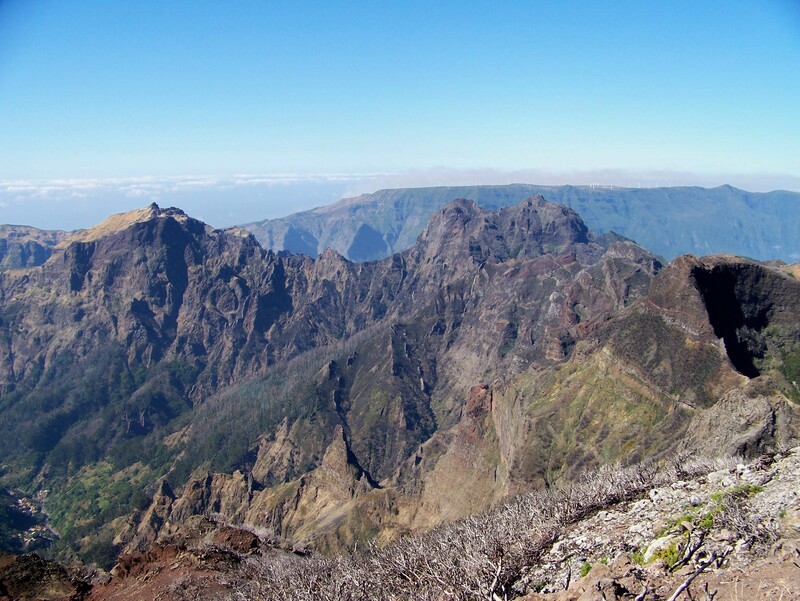 The island’s second-highest mountain, Pico das Torres (1,853m or 6,079ft), lurks in the centre of the ridge but its summit, so far as walkers are concerned, is completely unattainable and is gratefully bypassed. That’s one I don’t have to worry about. It’s exactly 9am and a cold wind is rasping from the north. 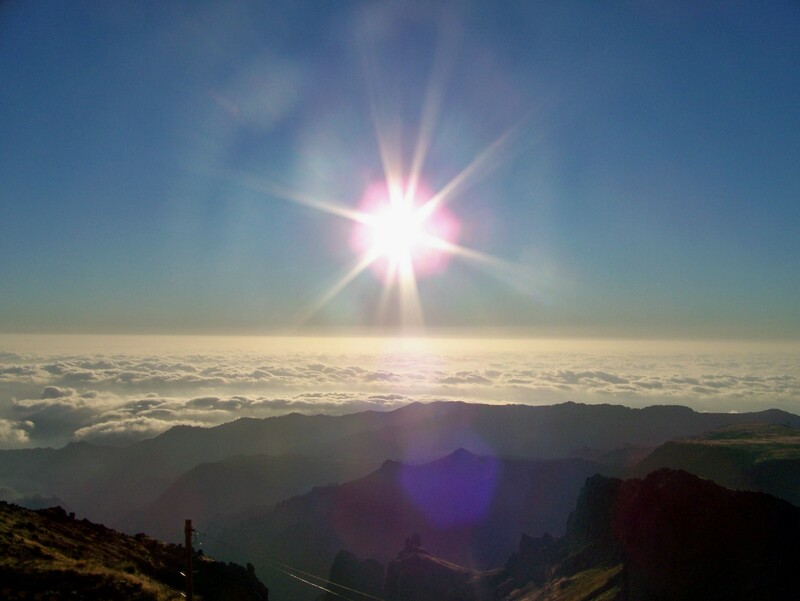 The sun is rising through a cloud belt several thousand feet below where I stand on the summit of Pico do Arieiro. There is no one else up here. Besides my own hire car, there are only two others in the parking area and both are empty. A few words of explanation here. 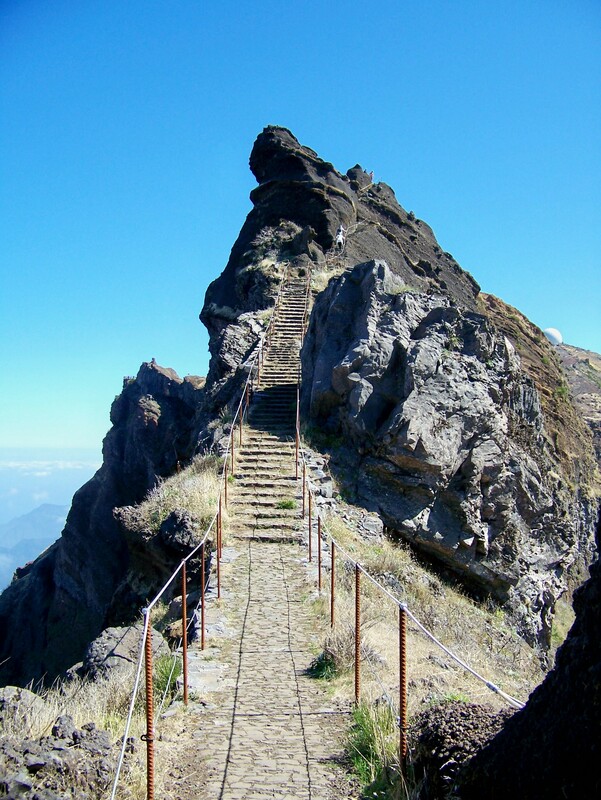 You can actually drive to the summit of Pico do Arieiro (or Areeiro, as it is sometimes spelt). Do not, as I did, assume this detracts from the experience that is to follow. It doesn’t. In fact, there is an argument in favour of the arrangement for the traverse would otherwise be beyond the capabilities of the ordinary walker. There is, in all the ups and downs between the two peaks, 4,300ft of ascent. That’s the equivalent of Ben Nevis in the blazing sun and with stupendous drops on all sides. And when I say “between the two peaks”, I mean there and back again. That’s how it works. 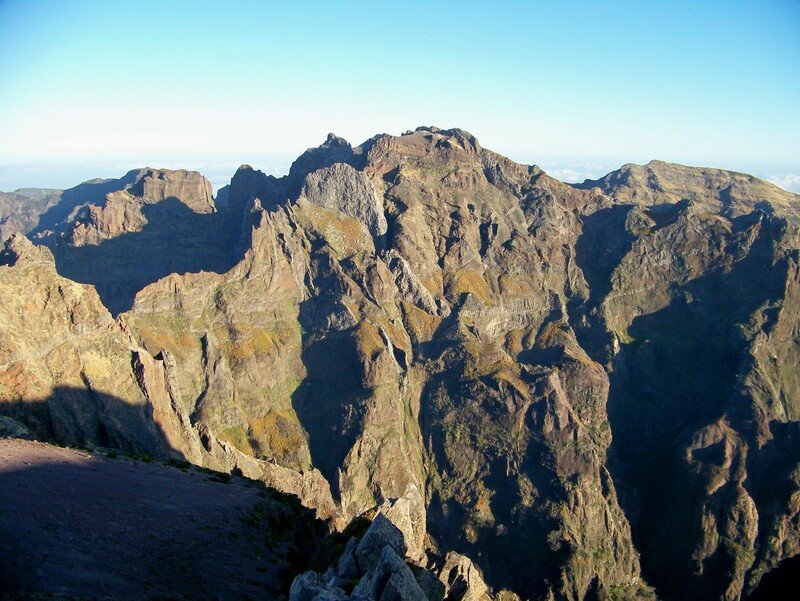 You set off along this airy arête from Pico do Arieiro, clump precariously to Pico Ruivo, and return by a slightly different route. And in doing so you’ve scaled the Ben on an island in the Atlantic off the coast of Morocco. I’m following Paddy Dillon’s route in his book Walking in Madeira (Cicerone), and so far as descriptions go, he more or less says it all. 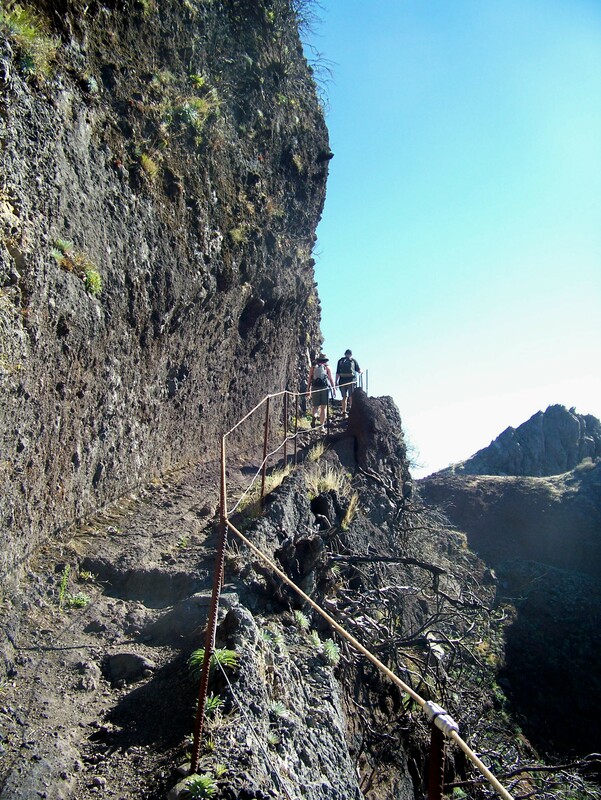 Paddy boy has prepared me for the exposed paths hacked into cliff faces, the tunnels that penetrate great towers of rock, the flights of steps cut into sheer crags up which I must slog while clinging to knobbly bits of volcanic rock and wire rails. What he hasn’t prepared me for is the divine experience of traversing a necklace of soaring pinnacles, while far beneath my feet waterfalls plummet and forests stretch to the ocean. Because this is a trail that elevates walking to another league. This is soaring with boots on. I must digress here. Sorry about this, but that final point reminds me of a reporter I once had the pleasure of working with at the North-West Evening Mail, in Barrow, called David Scholefield. David was exactly one day older than me, but that’s nothing to do with what I’m talking about. He was into yachting in a big way and once told me about a coastguard he interviewed who stated that most male bodies washed up on the beach or dragged from the water had their willies sticking out. Apparently, this is because a bloke is most vulnerable on a boat when he is having a pee over the side. It’s a case of all hands to the willie, regardless of the circumstances. You can picture the scenario – your zip gets stuck; you fiddle about a bit; then finally you stand there and utter a relieved “Ahhhhh . . .” And if a wave hits you at this point, you’re over the side with your willie hanging out. And don’t think that those big fish won’t bite it off, because they will. That’s another statistic. So this is a rule I set myself, having had the good sense to adapt the advice. When having a pee over a 2,000ft drop – which is one of the few things men can do much better than women – keep one hand for the boat. Paddy boy does an accurate job of his route description, though I can add an update which will be useful for anyone attempting the trip. 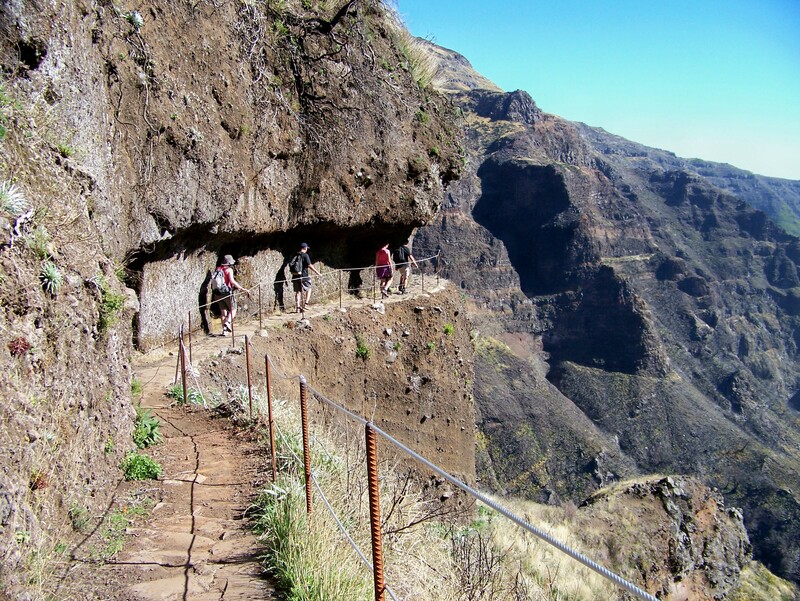 In the middle section of the ridge the route splits into two, the eastern route climbing and then descending exposed paths on cliff faces, the western route remaining relatively level through a series of tunnels before both paths rejoin to make the final ascent of Pico Ruivo. 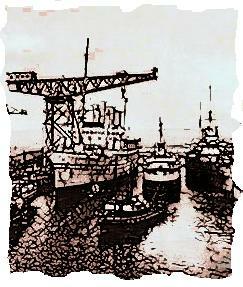 When Paddy published his most recent edition, the western path was blocked by a rockfall. This has now been cleared. So I went out by the eastern and harder and longer route and returned by the western. Both paths are breathtaking in themselves for their incredible feats of engineering as well as the views. There is little left to say, other than I spent some time on the eastern route with four delightful French people from Poitiers who were visiting Madeira on a sailing trip from La Rochelle to Brazil, and advised them to keep one hand for the boat at all times. I think this lost something in the translation. Certainly the women didn’t seem to understand. 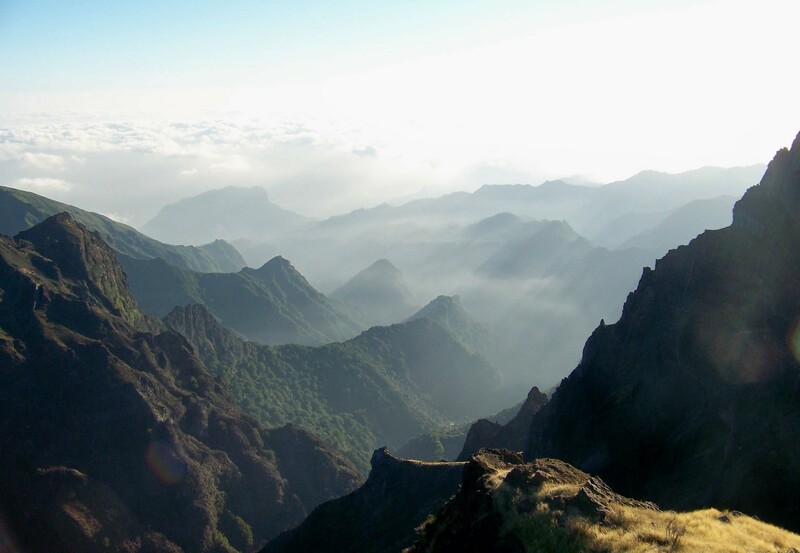 So now I’m sitting on my rock at the end of the day and staring back at the ridge from Madeira’s third-highest peak. And I can truly say that this is the most exhilarating and awe-inspiring route I have trodden in my life. It must be up there among the great walks of the world. Quite how it came into existence, I know not. 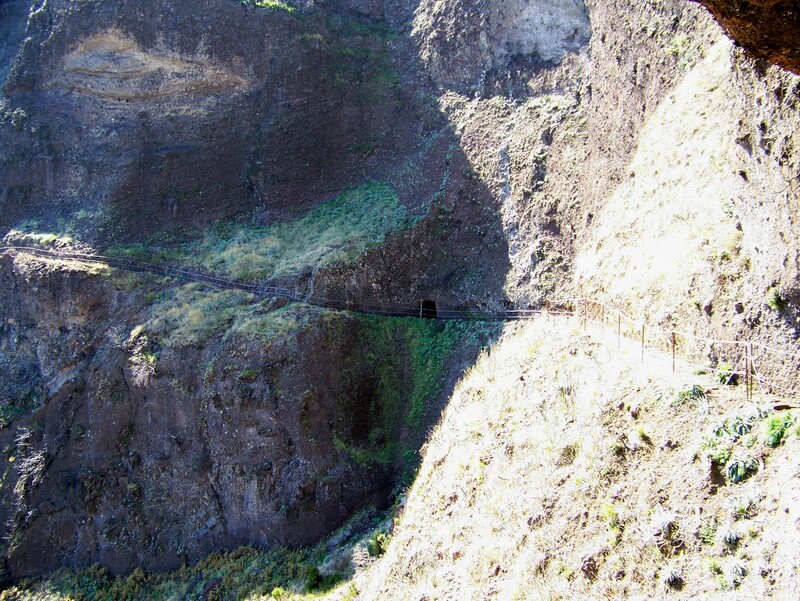 The course has been designed by engineers, the paths and tunnels hacked and blasted through the volcanic rocks, the stairways constructed by craftsmen. I have heard it originally formed part of a packhorse route from one side of the island to the other, but who would take goods over the torturous peaks of the highest mountains when so many lower routes are available? Thankfully, someone in the distant past possessed the vision to engineer this route. 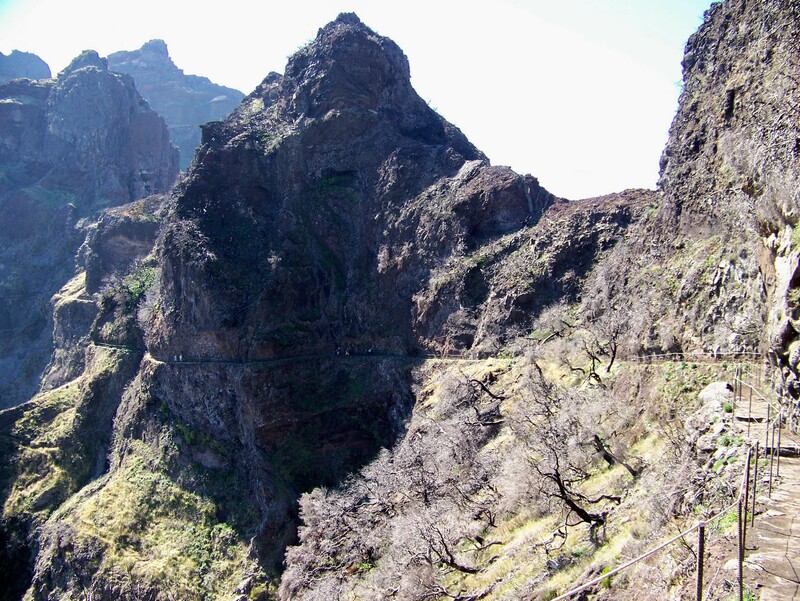 If he hadn’t, this mighty backbone of Madeira would have remained inaccessible, even to the hardiest of adventurers. One hand for the boat . . . 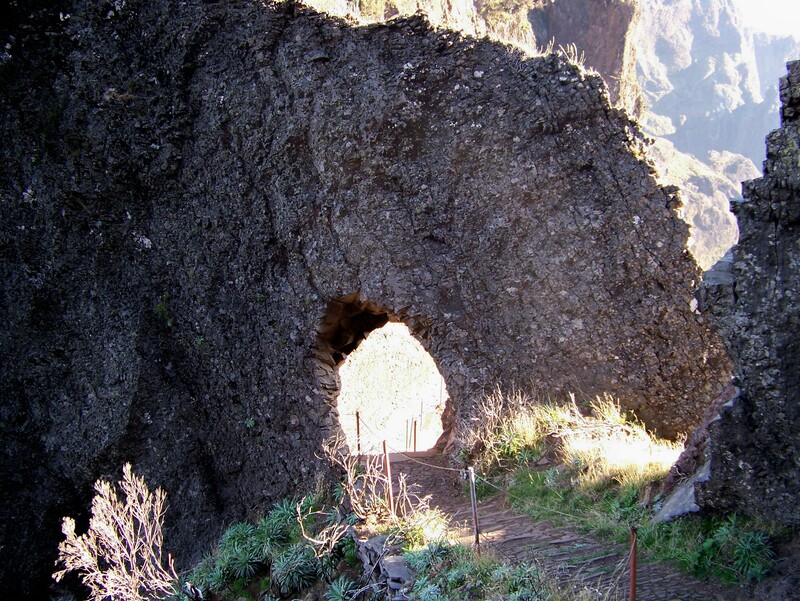 This entry was posted in Climbing, Environment, Geology, Hiking, History, Mountains, Walking and tagged Madeira. Bookmark the permalink. That’s another one that had me gripping the desk. Clicking on that picture seeing the path slice across the cliff face. Well. Sheer madness! No cafes on the route? Sorry to disappoint you, Alan, but it’s a thermos flask only route. No pubs either, before you ask. There is, though, a cafe in a Portacabin-style building at the edge of the car park on Pico do Arieiro. And although it’s a bit basic and the floor slopes somewhat, the waiters are impeccably dressed and the coffee is excellent. WOW – that is certainly a very impressive route and a great read too. You have certainly opened my eyes to Madeira in your last few posts. It’s a great place with some great walks. In fact, it’s a great place for a holiday. Cheap wine and food too, so you can’t go wrong. Oh, I remember that route well. It’s a superb long, satisfying trek. (Sorry I jumped the gun on mentioning this on your previous day’s account). I know hubby, Neil, (who suffers a wee bit with exposure) was glad we did it as a two-some just in case one of us slipped – not that I know what the other was supposed to do if we tripped or slipped off the edge of the path!? It’s a long fall in some places! I think we were walking about 3 hours before we met anyone else on the route at all and then it was only one couple. Mind you, as I said, it was January and it was below freezing when we left the car to start. You were lucky to have it all more or less to yourselves, Sheila. I was the only person on the trail at the start, but there was quite a crowd on Pico Ruivo who had walked up from the road at the other end. By early afternoon, when I was on the way back, there were quite a few parties on the ridge. I even met one English couple who didn’t know where they were going. They had just parked their car, seen the footpath signpost, and wandered along it to see where it was going. Wow that looks absolutely amazing / stunning / wonderful and just a little bit frightening. 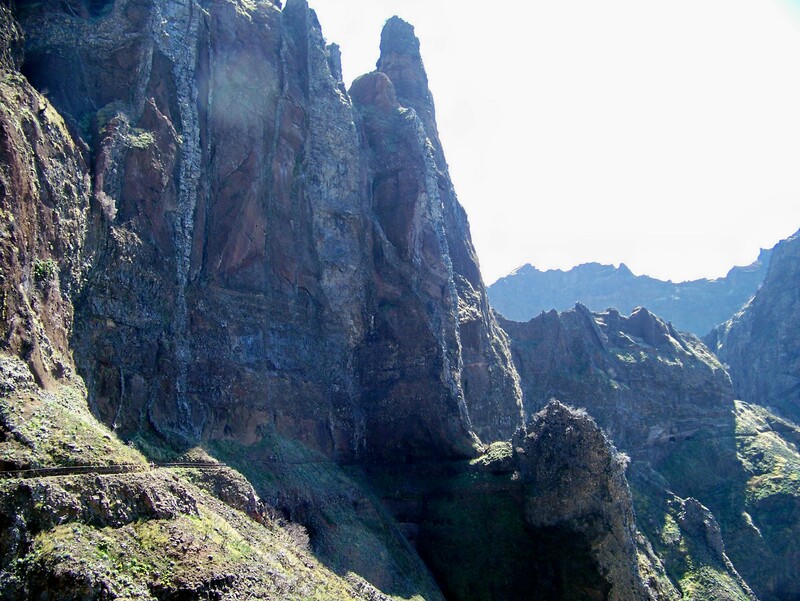 I have to admit that I did not even know that Madeira had mountains like that.. I’m now going to get a map out and have a good old look. Excellent blog btw, a recent discovery, don’t know how I let it pass me by. Thank you for that. 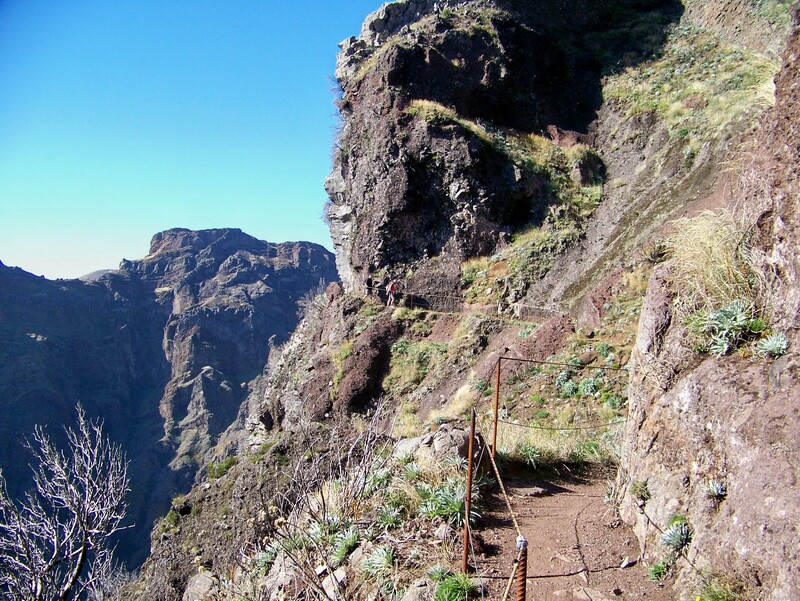 Several people have said they didn’t know Madeira was a good walking destination, and I must admit I didn’t know myself until earlier this year. 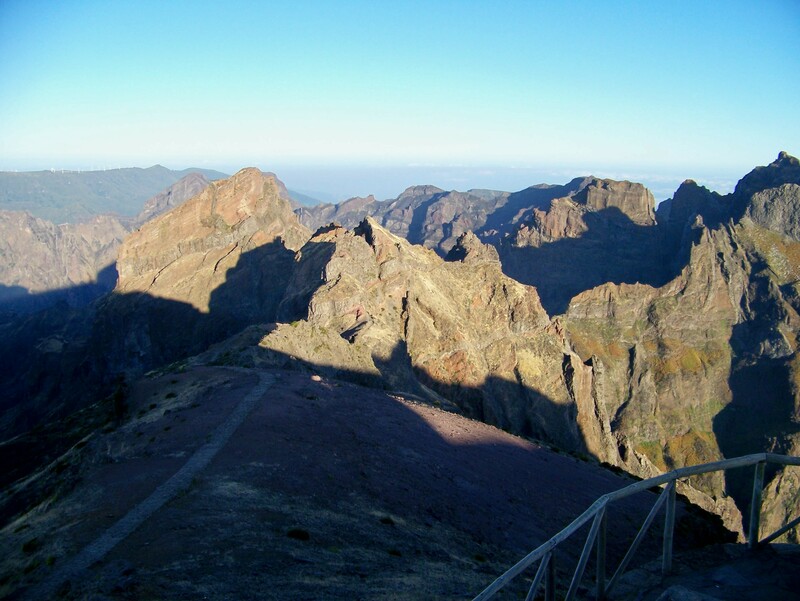 We were looking for somewhere warm in October to spend a couple of weeks – with mountains thrown in – and we ended up on Madeira. I can thoroughly recommend it. That`s the clincher for me Alen.I`m definitely going here soon. And it’s warmer than Scotland and there’s no midges . . .
One other plus point for us, is you can fly from Scotland. If going off for a short (7-10 days) winter sunshine break, we don’t want the hassle of the long trek to Heathrow/Gatwick, especially in midwinter. I wouldn’t go from Stansted again. Too far and too stressful. Cadging a ride on a yacht would be a leisurely alternative. Might be going in January Alen.How long did it take out and back ? Hi Alex. We flew from Stansted and it took about three hours – maybe three-and-a-half, I can’t remember exactly. It’s a great place for walking. You’ll love it. Hey, thanks for that. You’ve got some excellent pictures there. Thanks a lot. Got lucky with the weather. More stuff in pipeline. If you ever need input on Norway, give me a shout. Thanks for that. And thank you for highlighting my post on your website. That’s great. Thanks Hanna. I like the new website. It’s a great idea. You’ve got some interesting articles on there and stunning photographs. These are fantastic photographs and an excellent blog. I have visited Madeira many times for a holiday and would recommend it. I have driven up through and across the various mountains but never walked much. These make me wish to do so but I will need to get fitter first. With regards to Swanscot wanting to fly from Scotland, I think that Thomson fly direct from Glasgow. Possibly Monarch too. I fly from Gatwick and it is a 3 hour flight. I generally fly TAP if I can for the simple reason that the flights are a lot emptier than Easyjet or Thomson. BA used to fly there but handed over their short haul routes to Easyjet. Never had a problem with TAP but their food is odd but free unlike the British operators. Incidentally, Funchal is listed as one of the Top Ten most dangerous airports to land at, but don’t worry, it just means the Pilot need specialised training to land here. A starboard window seat gives you the best views on approaching the islands, a portside seat the best for the final approach and landing. The airport runway looks unique and well worth a look at when landing. Hi Michael. Yes, it’s a fantastic place with so much to offer for a smallish island. We’ve only been the once but intend to go back in the near future. Thanks for the flying tips. It’s always good to have other people’s advice and learn from their experiences. 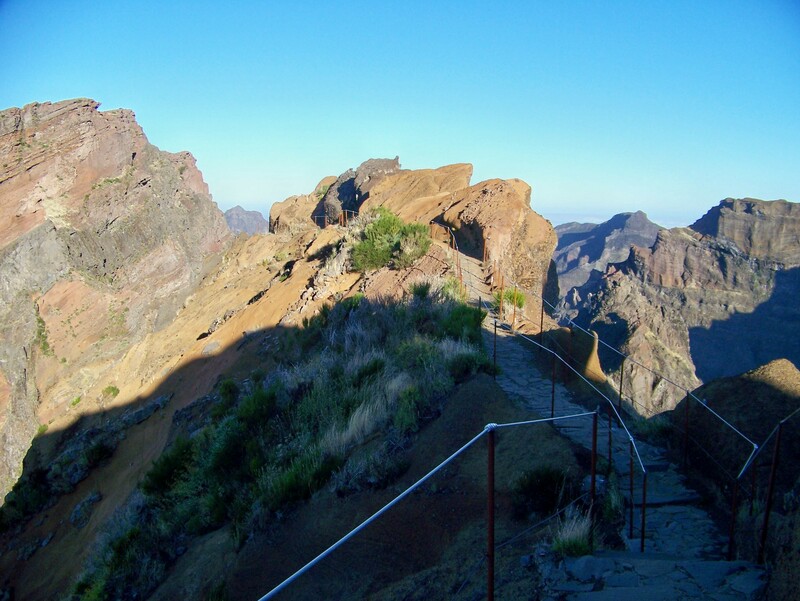 A few years ago the wife and I took a `stroll’ from Pico Areiero along the path to Pico Ruivo. Although we were equipped with decent trainers and a bit of water we decided after about an hour’s walk (right at the first tunnel) that we should return to the car and attempt this on another holiday when we have the proper equipment. 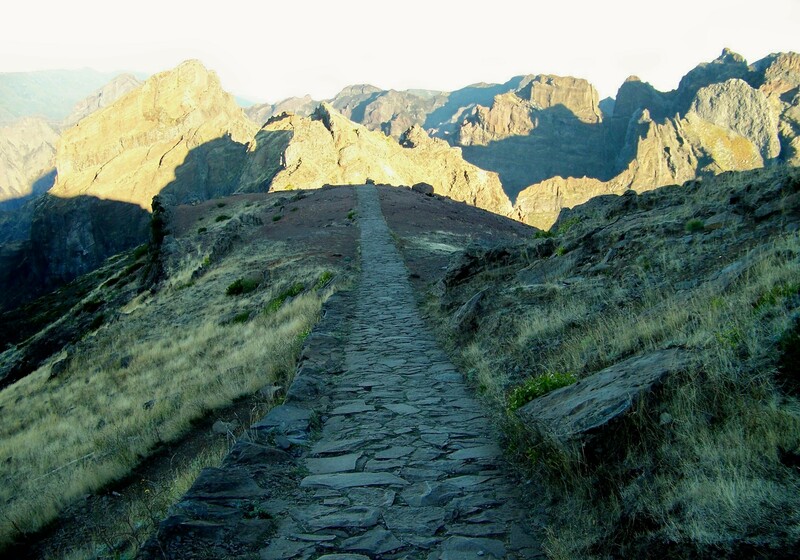 As we are going one way (Arieiro to Ruivo) only, which is the most exciting path, the east or west? I love sheer drops and hard climbs where the wife loves the easier routes and nice views …… I would be really grateful if you could elaborate on the merits of each route to aid our (my) route choice. Jon, I’m in a dilemma here. I went out by the eastern route and back by the west. Both are spectacular. I would say the eastern route is the harder of the two because there is much more upping and downing, whereas the western route cuts across the cliffs more. One thing to take into account is that if you set off in the morning you will have he sun with you on the eastern side. If I did it again I’d take that route. Both have sheer drops all the way along, but I’d say the eastern route is the sportier of the two. If you have plenty of time, what you can do is take the eastern route, then when it merges again with the western just nip through the short tunnel and take a ganders at the other side and perhaps walk some of it before doubling back. Either way, you won’t be disappointed. Hope this is of some help. If your walk turns out to be a complete disaster please don’t blame me. Hi Opher. Best wishes to you, too. Hi Andy. It’s a great route and you’ll thoroughly enjoy it. You’ll find it a bit rockier than Black Combe! Wonderful pictures! I was wondering when to expect the most clouds: in the morning or afternoon? You story really make me look forward to my visit in July! Hi. I can’t help youu with that question, sorry. The weather was generally clear most of the time I was there, and the clouds I experienced were pretty light and didn’t last long. 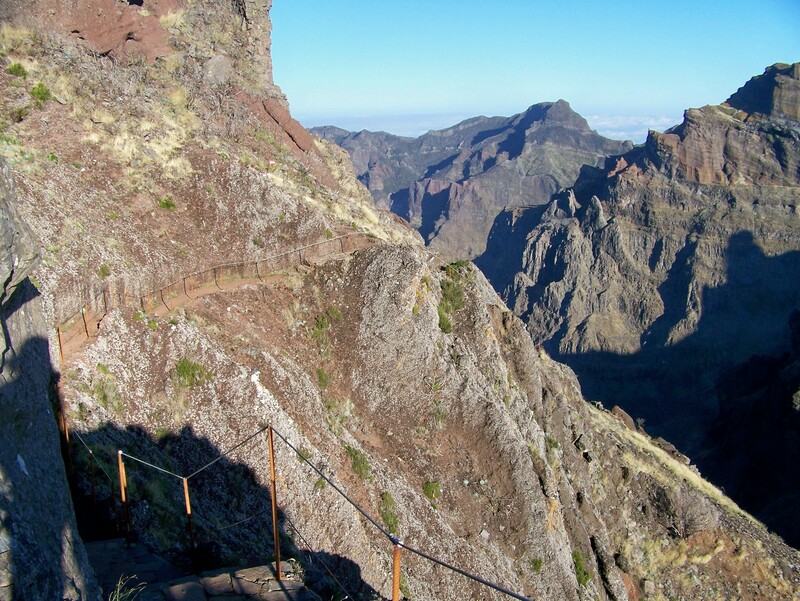 Found your blog while researching walking routes for our holiday to Madeira in a few weeks. Your blog is great. This one in particular is really helpful…will tell my other half about your ‘rules’! Do you think we need a guide to do this? We have walked extensively in the Lake District and Snowdonia? Hi there. Thanks for your comment. When you say a “guide”, if you mean a mountain guide then no, the route is very straightforward and you can’t go wrong or get lost. 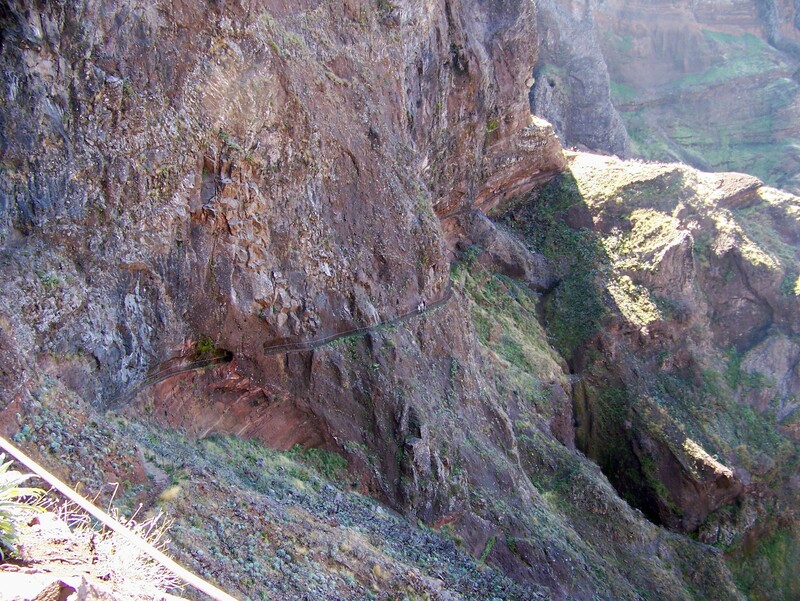 I just followed Paddy Dillon’s route in his guidebook Walking in Madeira, published by Cicerone. It’s a good book wwith lots of routes and information. Ok that’s great. Thanks very much. Looking forward to giving it a go. Hope we have the clear skies that you had! Thanks Alen for visiting my blog, your LIKE brought me here. I’ve seen this range of mountains before but unfortunately I get vertigo just looking at the photos! Hi Ash. They are very impressive mountains, and a great deal more spectacular than I am used to. I love this blog! Im going to be hiking in madiera for a week trying to spend as much time as possible in the mountains. 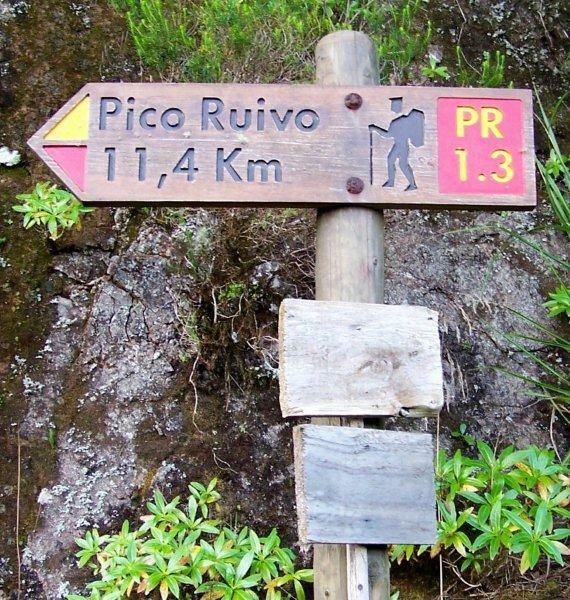 Could you tell me how long it took you to get to Pico Ruivo please? 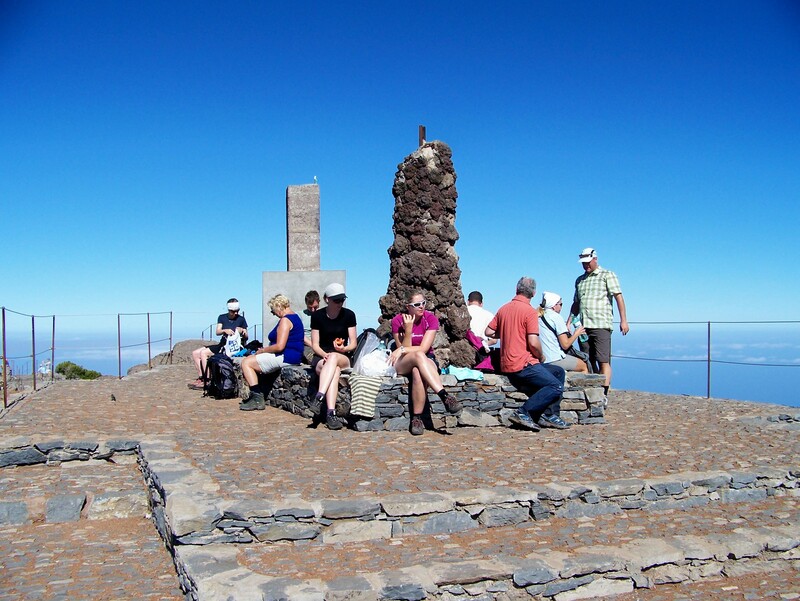 Also you say its a there-and back hike but is there a way of continuing on to Pico do Jorge? Thank you! Hi Alice. It’s about a two-hour walk to Pico Ruivo, if I remember correctly, depending on how long you want to dawdle and take pictures. 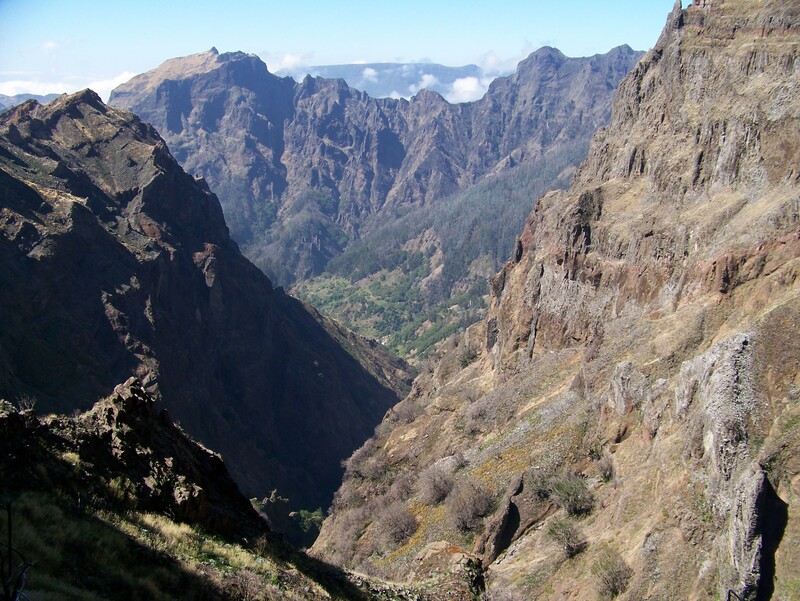 From there it is possible to continue to Jorge and beyond to regain the road at Boca da Encumeada, 11.4 kilometres from Pico Ruivo. There’s a section between Ruivo and Jorge that I haven’t done, but it all looked pretty straightforward on good paths. I’ve done the bit from Boca da Encumeada to Jorge and Pico Casado, it’s just the final couple of kilometres I can’t vouch for. 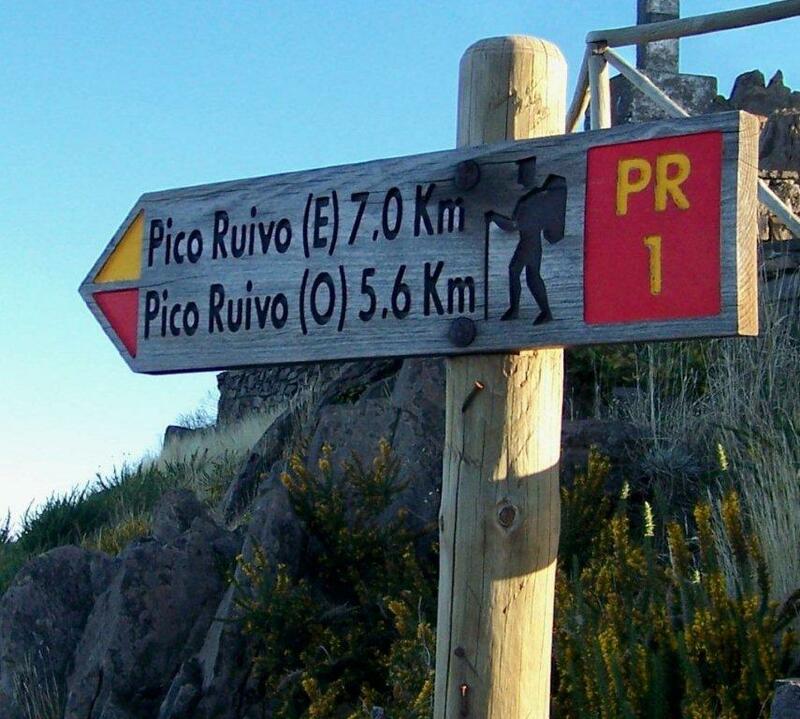 But the path I was on was certainly signposted for Pico Ruivo. I hope this is of some help. I was researching for my own article on Madeira and Google brought me to yours. Hi Tim. Thanks for that. Good luck with your article. 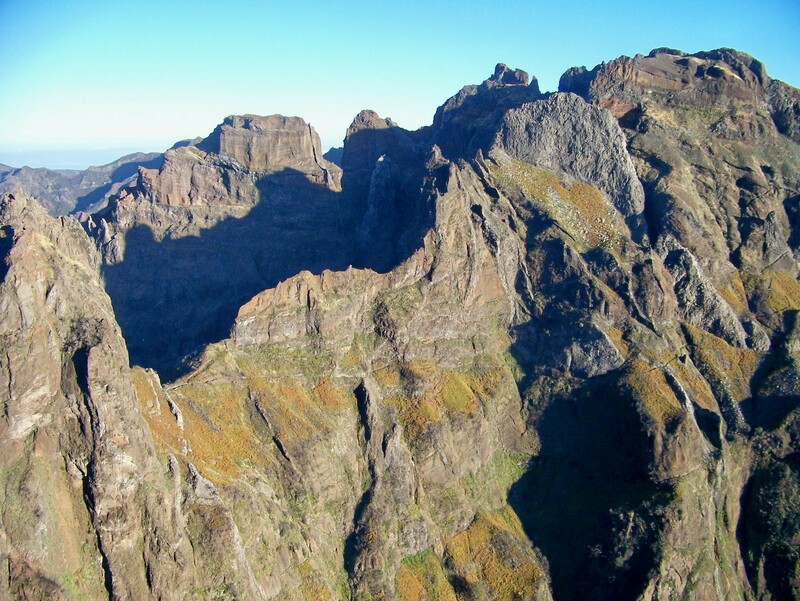 Hello, Thank you for your blog, do you know if you can climb picu do arieiro first and then continue on the hike to pico ruivo? 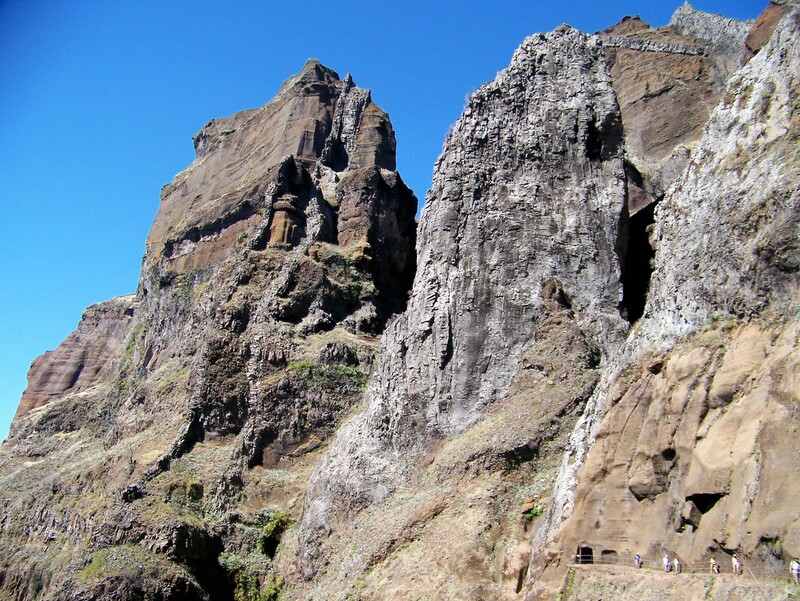 I am having a hard time finding anything but driving directions to the top of pico do arieiro. Thank you for your advice! Hi Nicole. Sorry, I am not aware of a hiking route to the top. But if you do the ridge the other way there are several good routes to the summit of Pico Ruivo. Nice description of a classic route. I did this last Friday (20/10/17). As I went with a tour I did the Linear route. As an update the route was originally a trade route between the North and South of the Island with teams of up to 40 carrying goods from the North and returning later in the day with stuff like dried fish. The tunnels were a later addition as erosion had made certain sections unusable. Hi Colin. Glad you had a great trip. Thanks for the information. I’ve always wondered what the origins of the route were. What a way to earn a living. 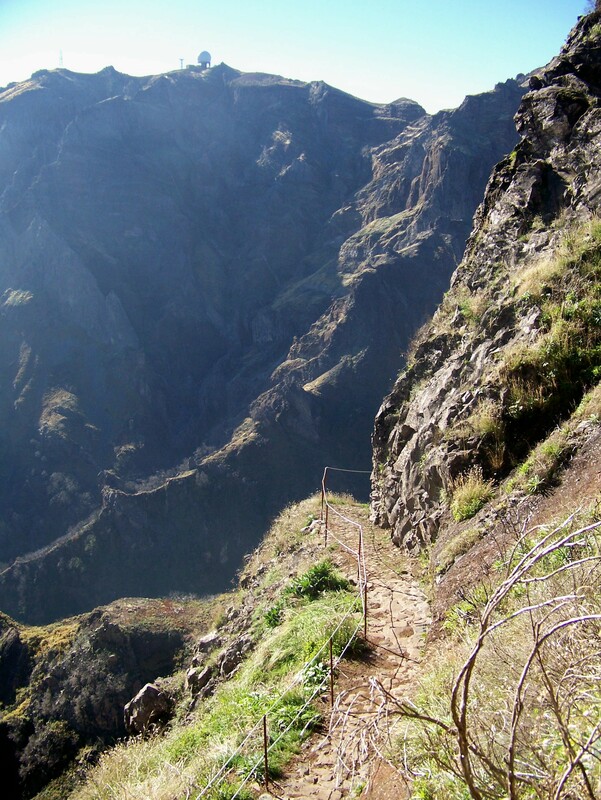 Quick question: We are planning to do this hike and will bring our rental car to Pico do Arieiro. 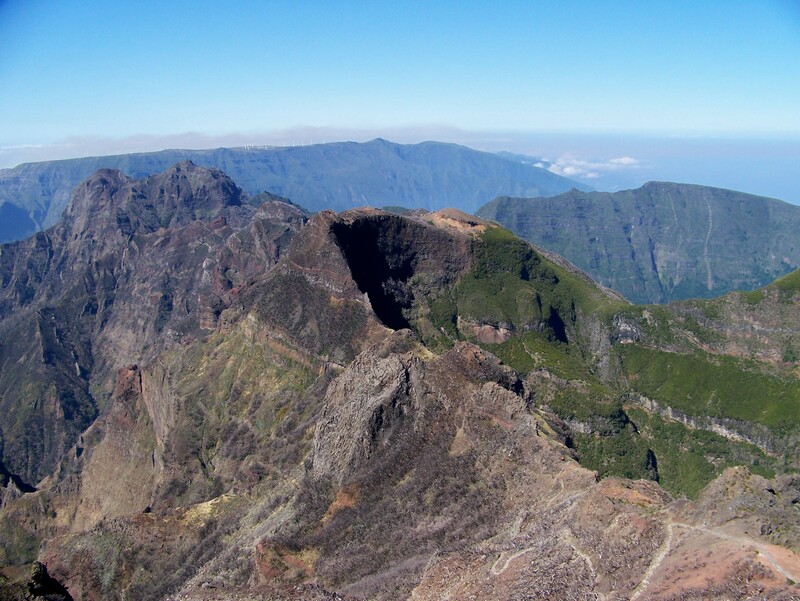 Any suggestions on how to get back to it from Pico Ruivo….short of hiking the whole way back? Thanks! I’m afraid there is only one way back, Jessica, and that’s along the ridge. It’s not a long walk, and certainly worth doing twice.